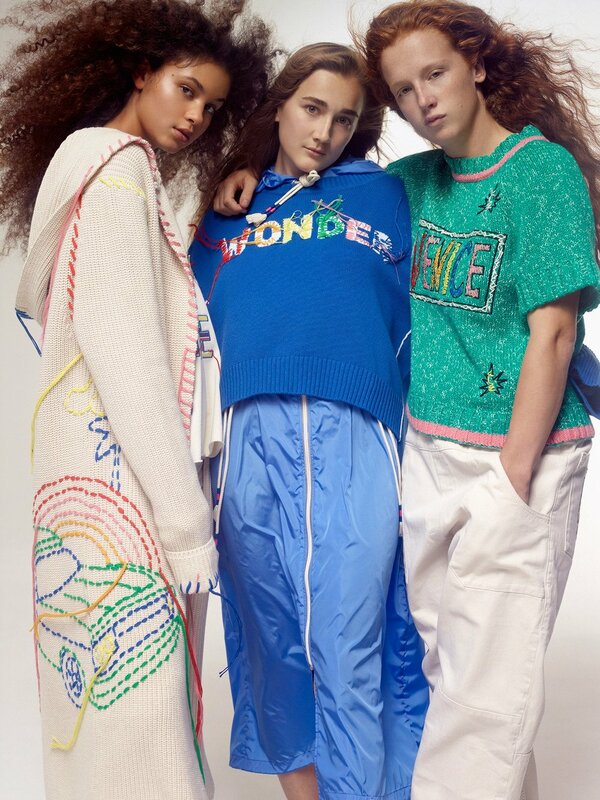 Mira Mikati dabbles in the world of playfulness with the innocence of a child. Her SS18 collection does not veer away from what has made her successful. The colors, the embroidery, the Adidas like striped pants, the jean onesies are all soaked in the levity of creating a collection for the joy of it. It is an homage to the 60s Venice beach with skater girls bathing in California sun. And while it may be a bit too youthful for a lot of the parisian crowd, this colleciton would find a home in America.